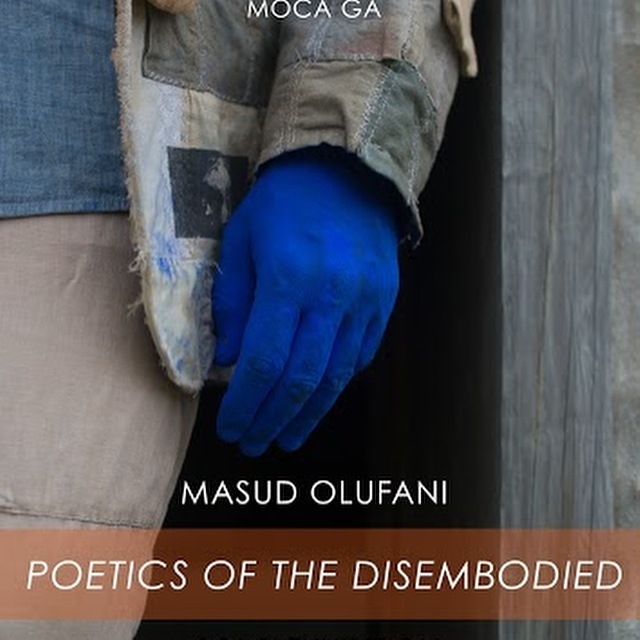 Masud Olufani is an Atlanta based multidisciplinary artist. He is a graduate of Arts High School in Newark, N.J., Morehouse College and The Savannah College of Art and Design where he earned an M.F.A. in sculpture in 2013. Masud has exhibited his work in group and solo shows in Atlanta, Georgia; New Orleans; Louisiana; Chicago, Illinois; Richmond, Virginia; Lacoste, France; and Hong Kong, China. The artist has completed residencies at The Vermont Studio Center; SCAD Alumni Artist in Residence Program; The Hambidge Center for Arts and Sciences in Rabun, GA.; and Creative Currents in Portobello, Panama. He is a 2017 Southern Arts Prize State Fellow for Georgia; a recipient of a 2018, and 2015 Idea Capital Grant; a Southwest Airlines Art and Social Engagement grant; a recipient of 2015-16’ MOCA GA Working Artist Project Grant, and is a member of the 2014-15’ class of the Walthall Fellows. He is the lead designer of Blocked at Five Points, a site-specific installation created to memorialize the enslaved Africans bought and sold at the Crawford Frazier Auction House, which once stood on the grounds of Atlanta’s Five Points MARTA station.